Today we review Dee Cee Laboratories Advanced Prostate Plus. This gluten free supplement contains 14 ingredients to help improve your prostate health. 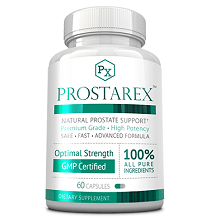 Nutritionally, this supplement will ensure the overall health of your prostate. While many of these nutrients do help immensely with prostate health, many other formulas contain 17 or more ingredients, all with strong potencies to improve the state of your prostate. The capsules are vegetarian and gluten free, making these capsules safe for more people to use. Men should take two capsules, once per day, with a meal. It is not stated specifically if there is a certain time of day that these nutrients absorb best into your body, or if you need to drink a certain amount of water for these capsules to work the best. This supplement comes with no listed side effects or warnings. This is unusual, as even the safest products come with the typical warnings that you should consult with a physician before starting a new dietary regimen. Without even this basic warning, it shows that the manufacturer may be trying to hide something. Also, as this is a supplement for prostate health, it is concerning that they do not mention that women should be careful in avoiding this supplement. This supplement is only available for purchase through a healthcare professional. In order to purchase the product directly from the website, you need a special login, including your medical license. Because of this, we were unable to find any information about the price of this supplement. We even tried searching for the price of this supplement through other third party sites and still were unable to find any information about pricing for this product. As the manufacturer does not sell their products to the customers directly, they do not have any information regarding a money back guarantee or refund policy listed on their website. If you decide to purchase this product, you should check with your healthcare professional to see about the possibilities of returning this product, should you be unhappy with the results. 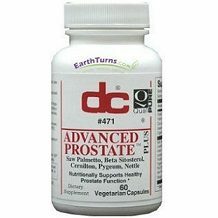 There are a few things we liked about Dee Cee Laboratories Advanced Prostate Plus. This supplement is both gluten free and vegetarian friendly. It also has 14 important vitamins and nutrients essential for the overall health of your prostate. Unfortunately, we found many concerns regarding this supplement. Other formulas contain over 17 nutrients on their label, showing these capsules may be less effective. There was also no price information regarding this supplement anywhere we found through our research. Lastly, the company only sells their product to licensed doctors and healthcare professionals, which gives them the opportunity to not offer a money back guarantee on their products. For these reasons, we cannot recommend this supplement to help you improve the health of your prostate.